Yet another guest post from Hanna, this time with a secret ingredient. This one’s got a peculiar ingredient, but trust me it works! Wash but do not peel shrimp. Cut off the antennas and the rostrum (the part of the head that is pointy) beforehand. Soda gives more flavor than regular sugar. 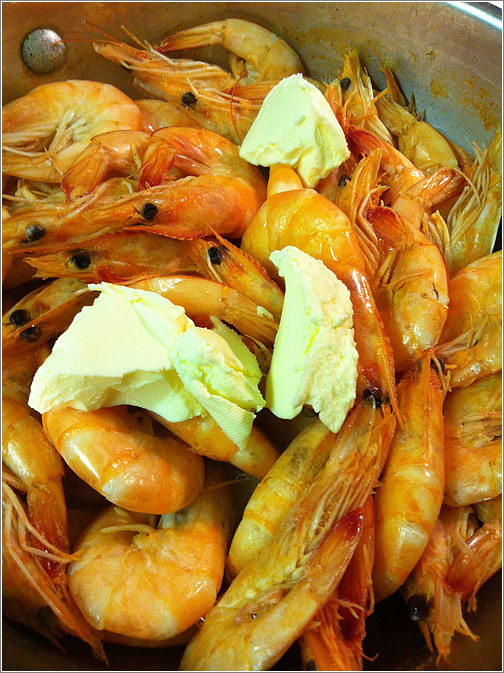 In a large shallow pan, boil the shrimp in soda. Add a pinch of salt. Boil until all the soda has evaporated. 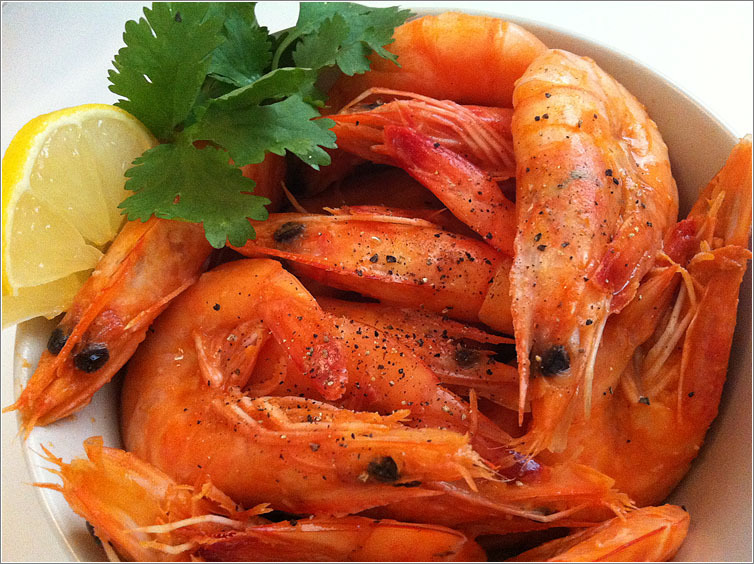 If the shrimp is done cooking before it is dry, drain some of the liquid. Add butter and garlic. Mix well. Add the tomato paste. End product should only be very slightly sticky from caramelized sugars in the shrimp, soda, and garlic. Done! You can squeeze some lemon juice if you like.